Oporto BizTalk Innovation Day | 14th March 2013 – Oporto, Portugal – BizTalk Product Team will be present! 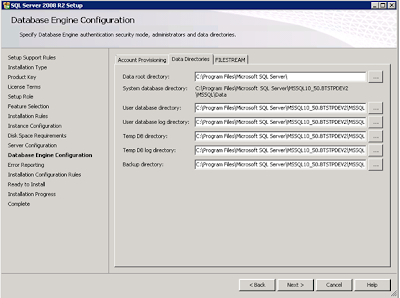 The post What’s new in BizTalk360 v6.0? appeared first on BizTalk360 Blog. What’s under the hood of the cumulative concatenate functoid in the BizTalk mapper. Analytics of current code, compared with an xslt file, optimalisations and profiling. 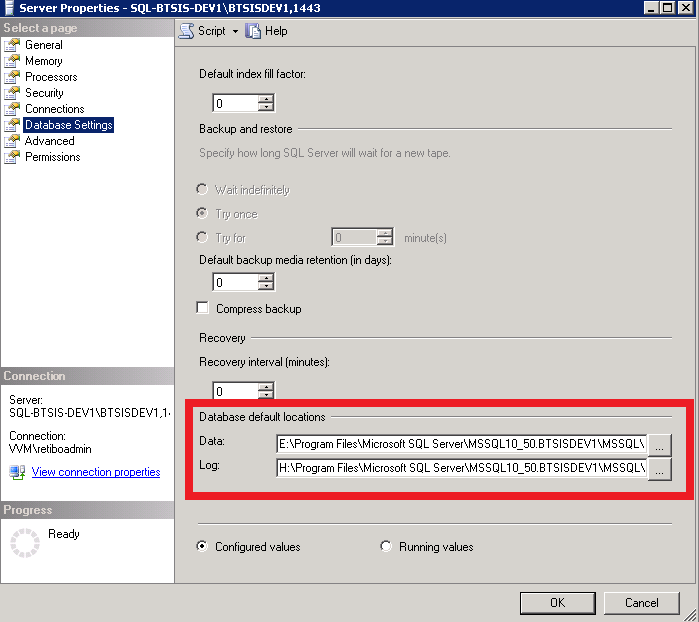 Within SQL Server Management Studio you have the ability to change the default location for your Data and Log files for all new databases. Just %ufeff right click on the server name and select properties, navigate to the Database Settings page. 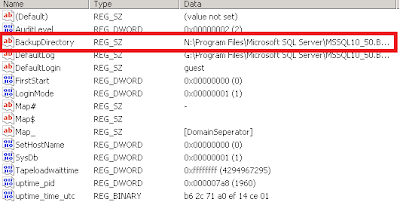 Here you can find a section Database default locations for changing the data and log directories. But if you search through all of the pages under Database Settings you will not find anything that shows the default backup directory. To find this we need to look in the registry. Or something similar for your instance of SQL server. The registry key BackupDirectory is the one you’ll need to change to set another default Backup Directory. 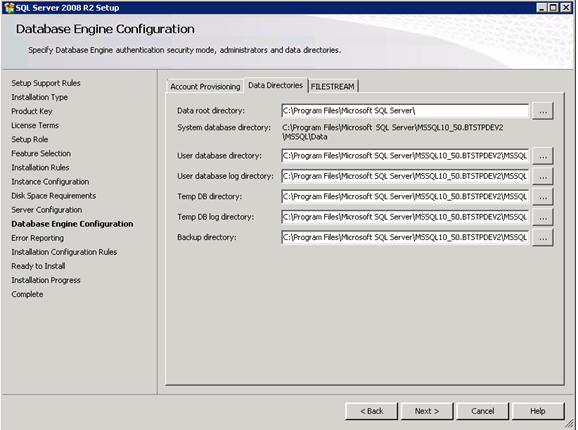 Changing the registry can also be done with a T-SQL query command. 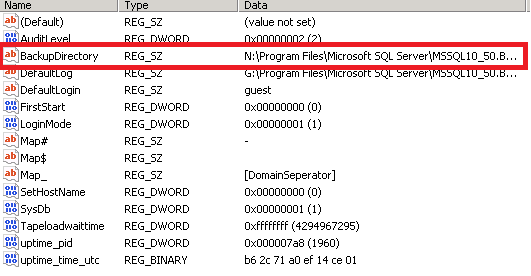 To do so, you’ll be using the extended stored procedures XP_REGREAD and XP_REGWRITE. Authentication on an SFTP location can be done with simple username/password credentials However another way to authenticate the sender is by using a Key Authentication file. 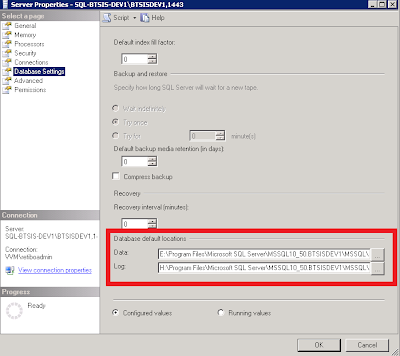 But how can this last authentication method be used inside the BizTalk SFTP adapter? the BizTalk SFTP adapter we used to achieve this is the freely available SFTP adapter on Codeplex. Just download the adapter and install it. And don’t forget to add the adapter in the BizTalk admin console of course. Now then let’s set up the port in BizTalk. 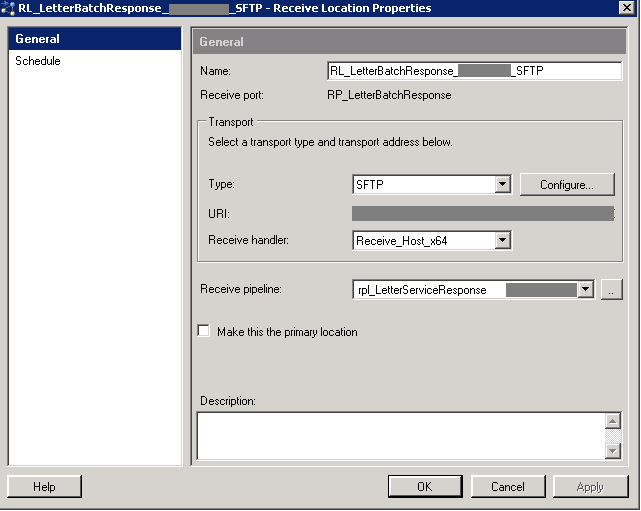 In my example I ’ve configured a receive location, but obviously the same goes for the send port configuration. First of all choose the created adapter in the biztalk admin console, as shown below. To set up the proper configuration for the SFTP port, just press the ’Configure’-button. You’ll need to make sure the identyfile type is supported by the library. The supported versions can be found here. As this is the library which is used by the bizTalk SFTP adapter. In my case for example, I got an *.ppk file as authentication file. But as it turned out, this wasn’t recognized. Which in the end seemed a bit misleading, as the problem wasn’t the private key for the authentication file. It was just the *.ppk file that wasn’t supported. To make the key authentication file working, I had to convert the file to an OpenSSH key file. 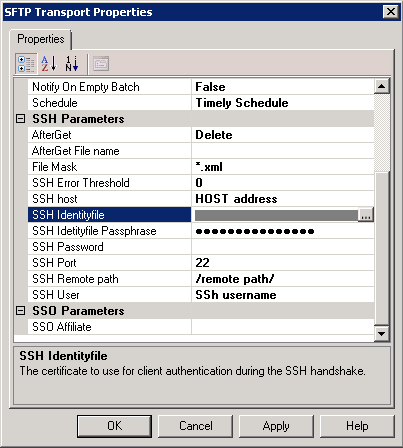 This can be done by using PuttyGen for example, and exporting the authentication file as an OpenSSH key file. Also make sure you only use the intended parameter SSH Identyfile Passphrase, and leave the SSH password blank. In case both password fields are filled, the SFTP adapter will try to authenticate by the username/password credentials stated. So it won’t offer the specified identyfile to authenticate.